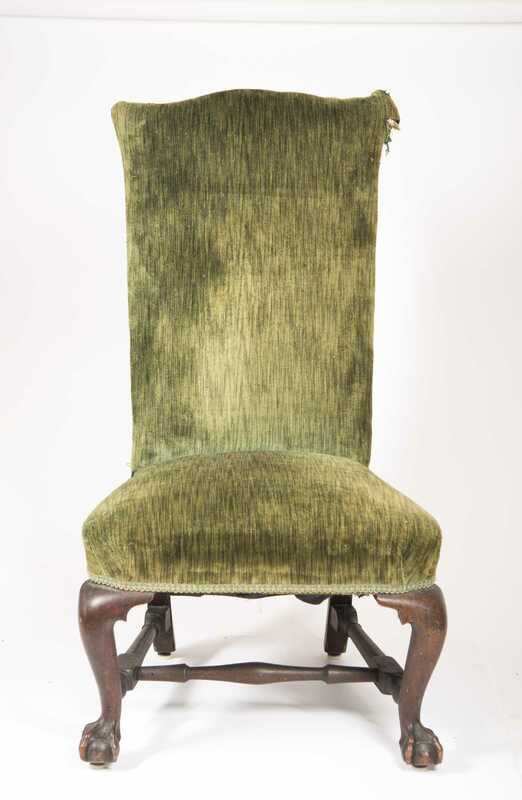 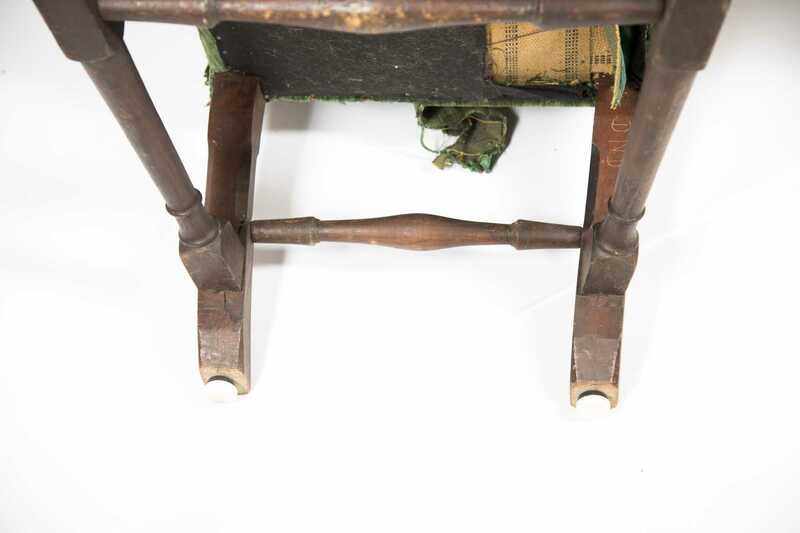 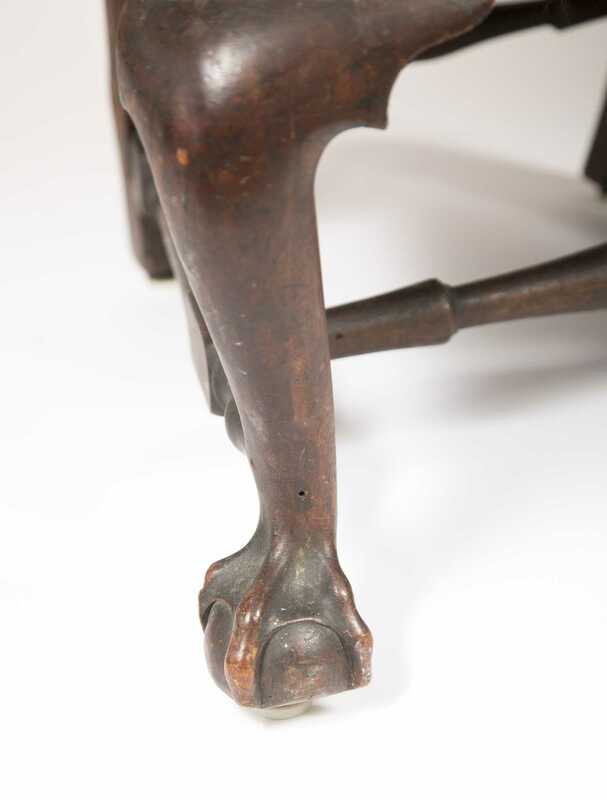 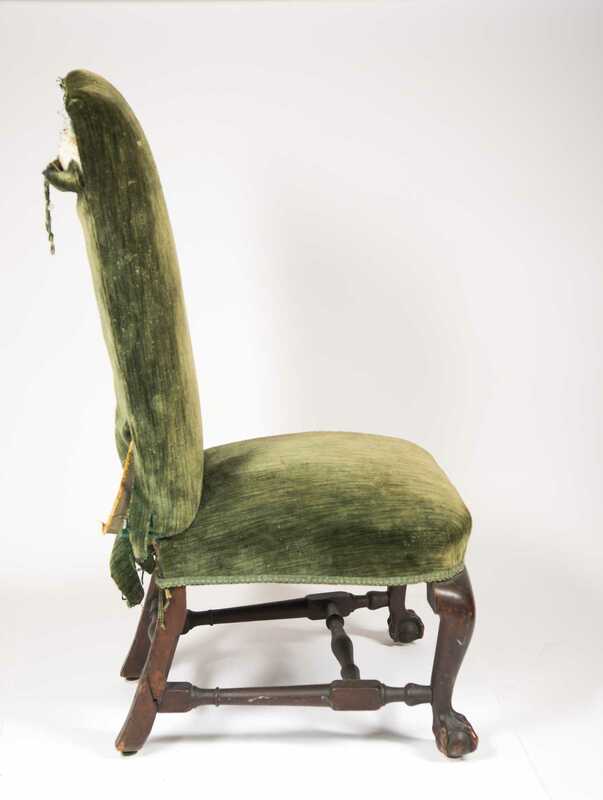 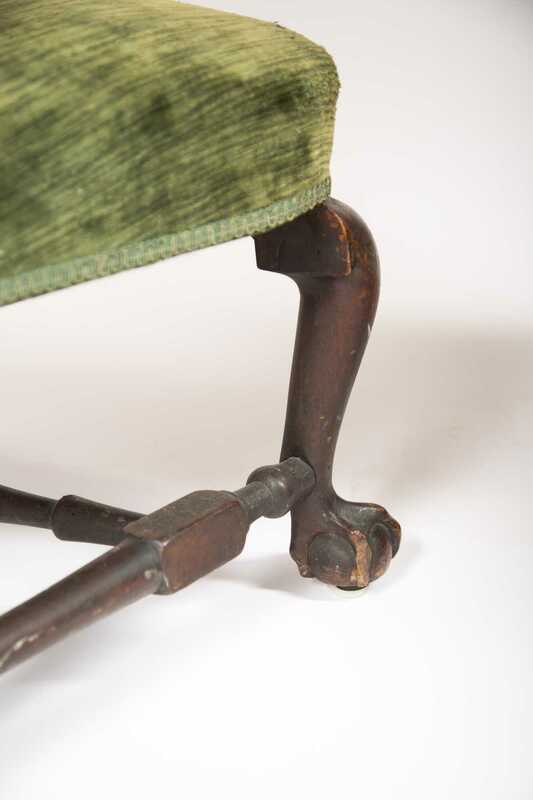 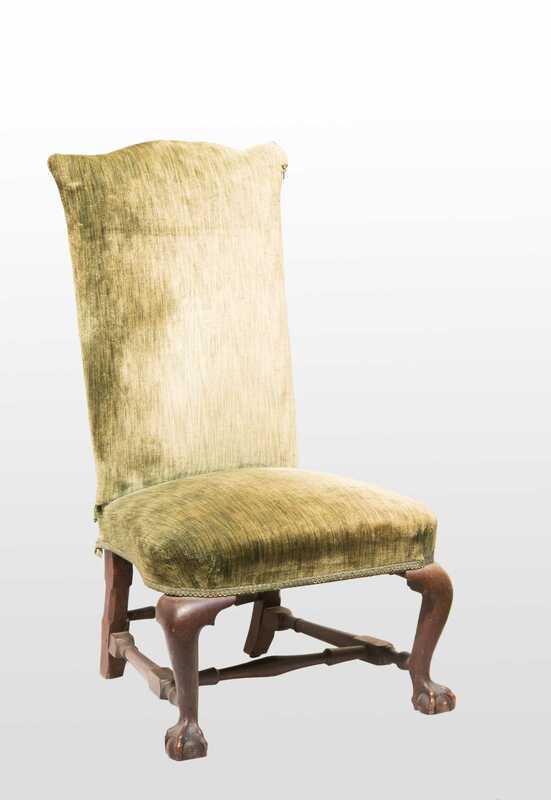 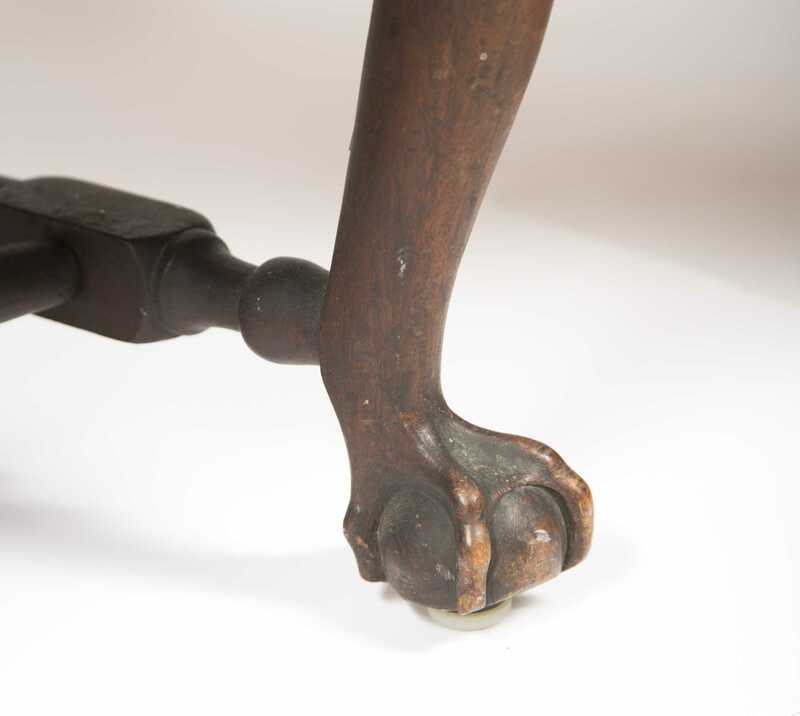 Rare Rhode Island Mahogany Chippendale Slipper Chair, Having an upholstered back with cupids bow crest over an upholstered balloon seat supported by front cabriole legs ending in ball and claw feet, with block and turned "H" stretchers, an old finish with rear right bottom legs split with an old screw repair missing side knee returns, 18thC Rhode Island, 40 1/4" tallest, 19" widest back, 14" seat height. 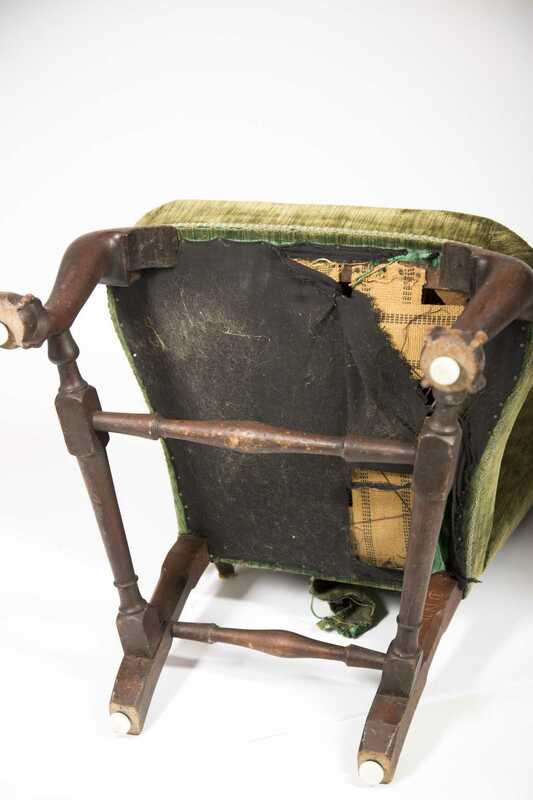 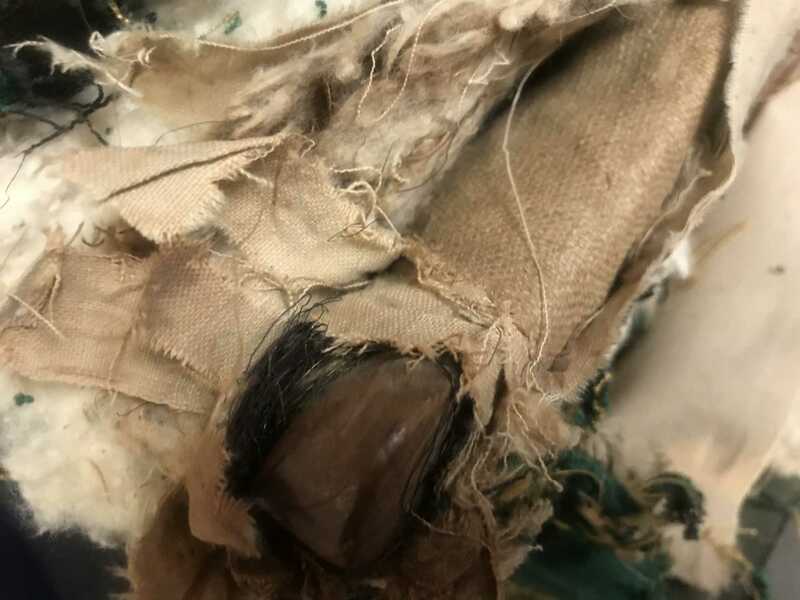 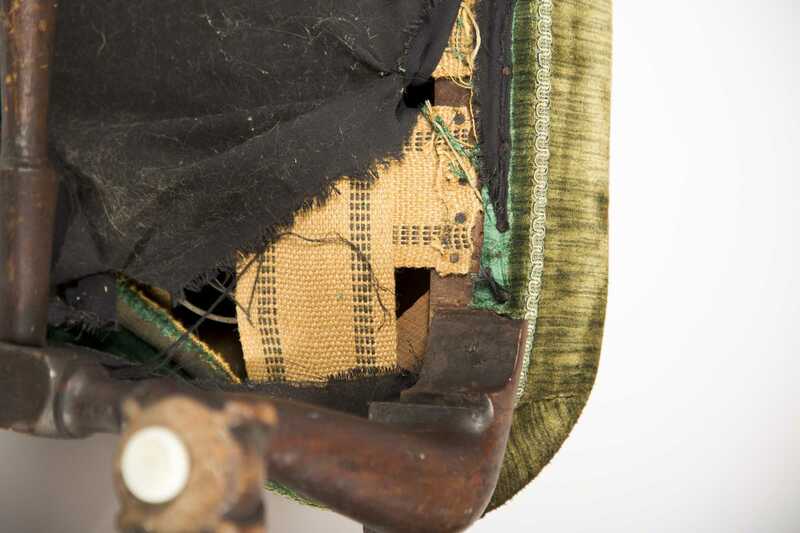 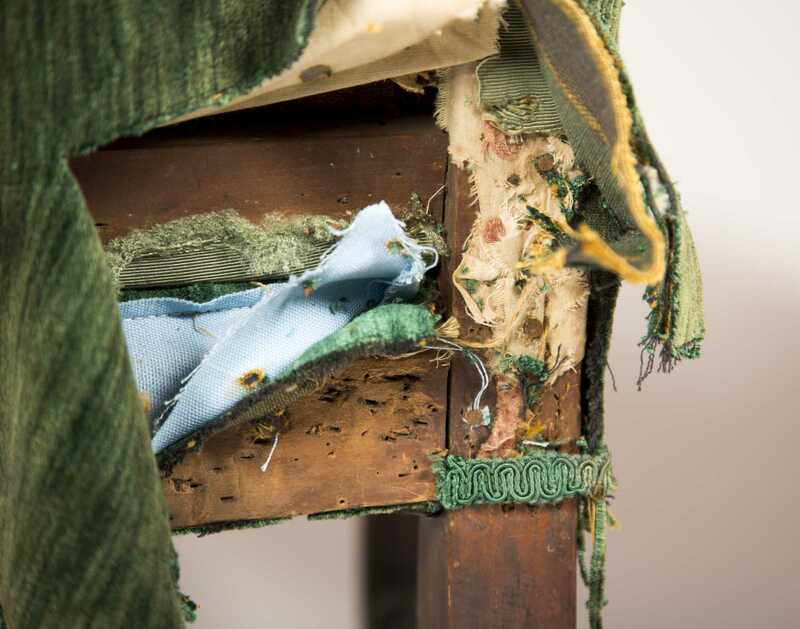 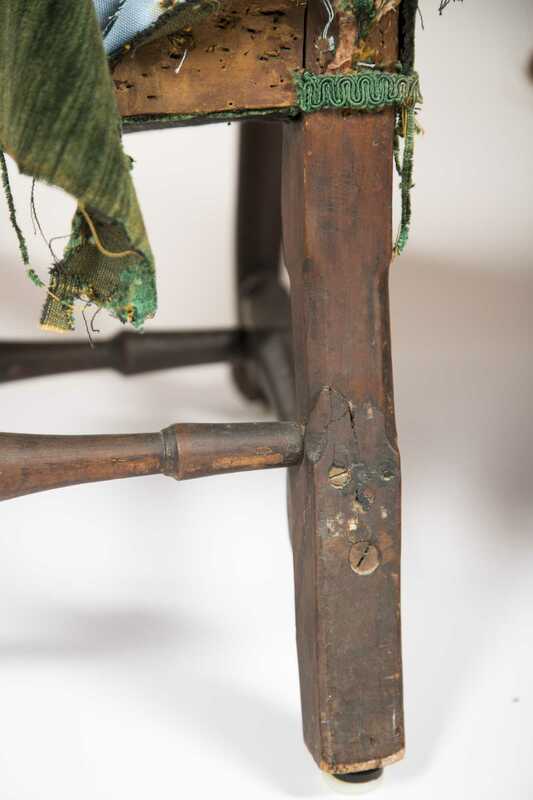 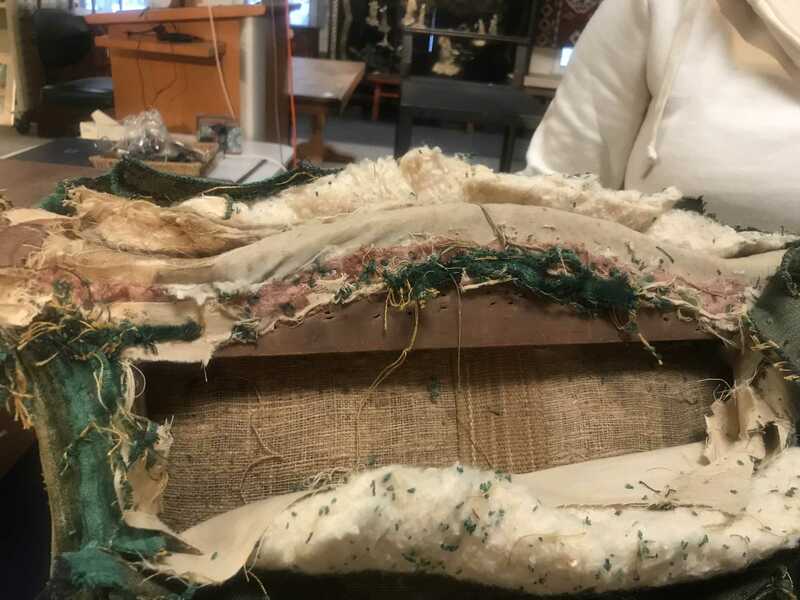 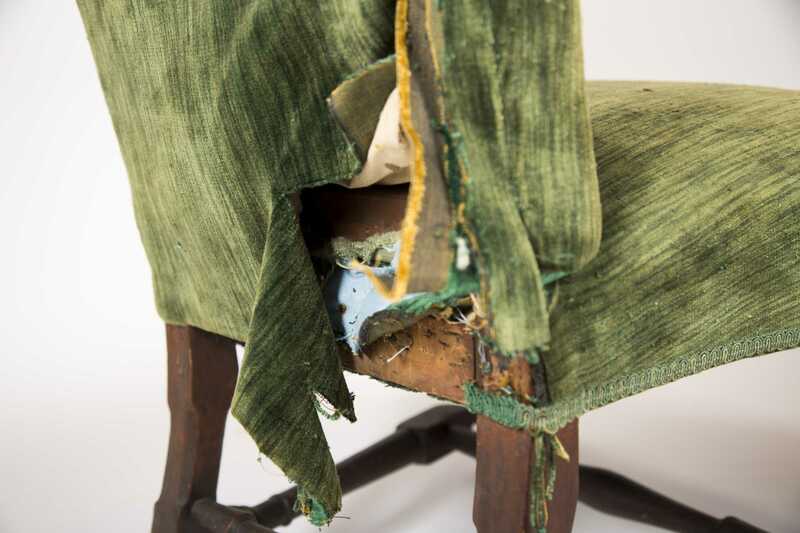 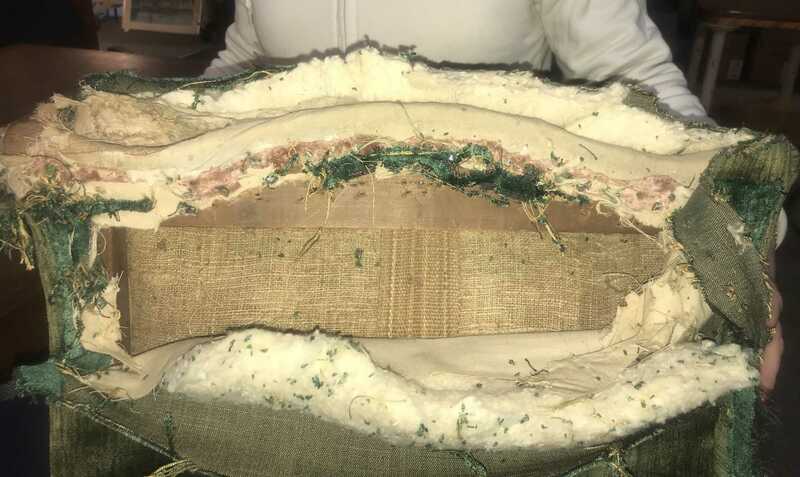 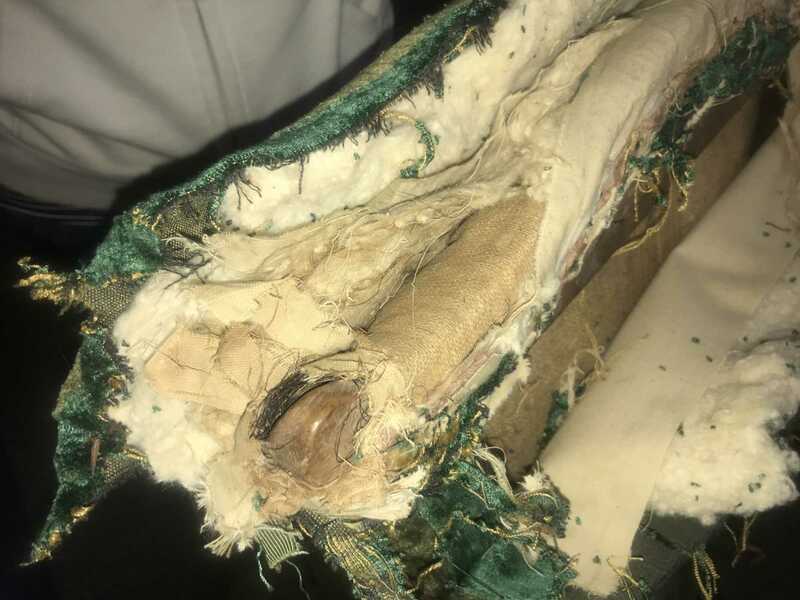 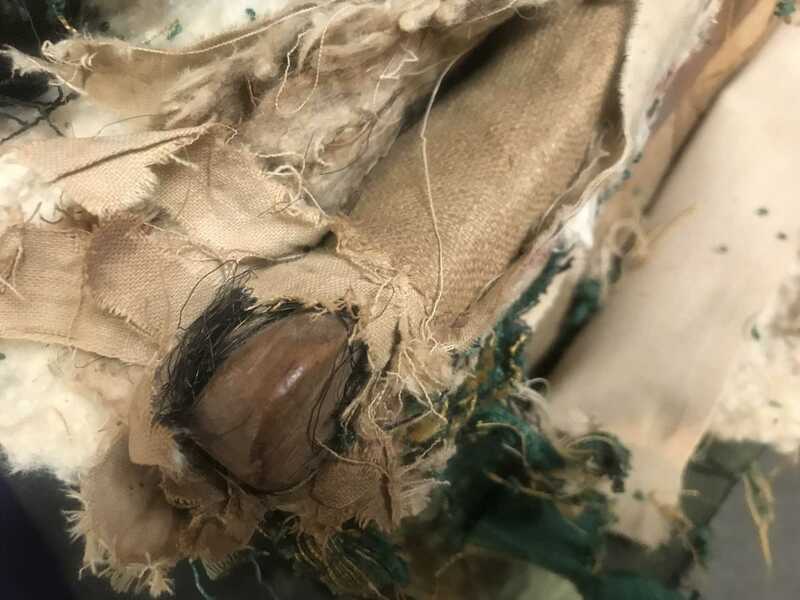 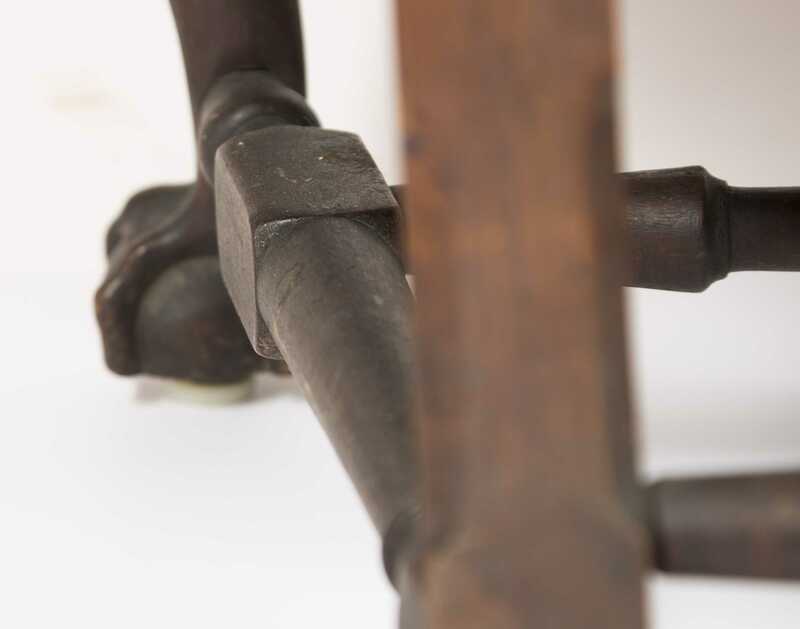 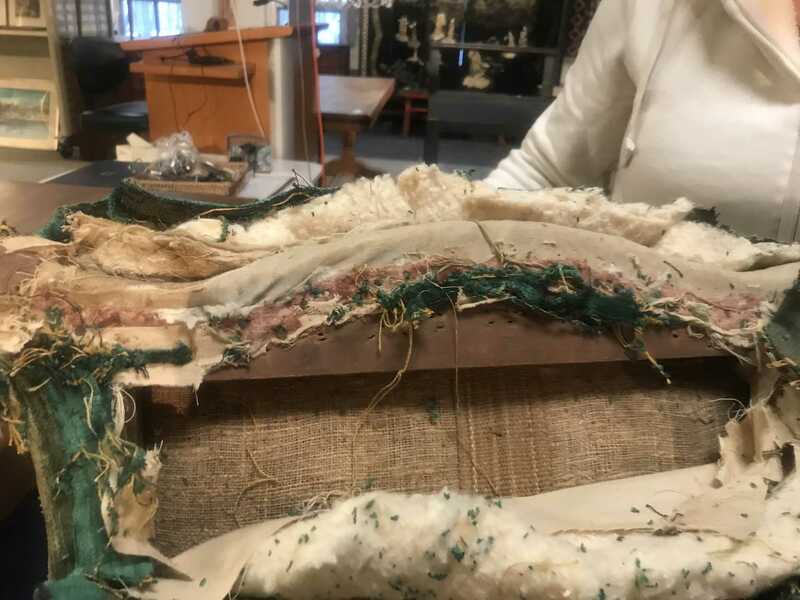 The 20thC upholstery is partially removed showing some old 18thC linen covering the joints. 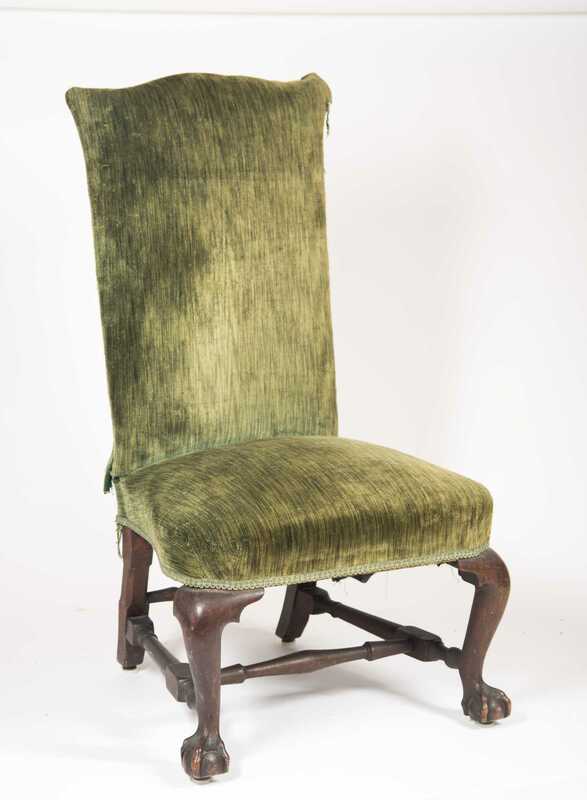 Descended in a Hancock NH family until now.